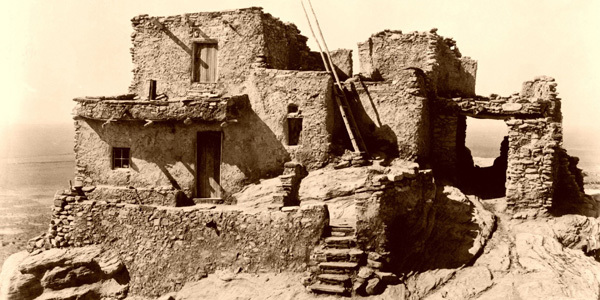 Hopi Indians now live in a reserve in the US state of Arizona, and its main town is Oreibi, the oldest continuously inhabited place in North America. According to his tradition, the history of mankind is divided into periods they call "worlds", which are separated by terrible natural disasters: the first world succumbed by the fire, the second by the ice and the third by Water. We currently live in the fourth world, and in total, mankind must go seven. 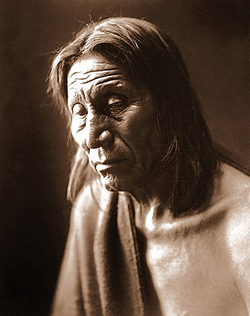 Not being verifiable historically the first two worlds, the Hopi tribal memory goes back to the time of the Third World, whose name was Kasskara. This was the name, in fact, of a vast continent located at the current site of the Pacific Ocean. But Kasskara was not the only inhabited earth. There was also the "country of the East". And the inhabitants of this country have the same origin as those of Kasskara. The people of that country began to expand itself and conquer new lands, attacking Kasskara face of opposition from the latter to be dominated. They did it with very powerful weapons (and one immediately thinks of the devastating weapons described in ancient Hindu epics and the atomic explosion of Sodom and Gomorrah), impossible to describe. Only the elect, those selected to be saved and survive in the next world were gathered under the "shield". The enemy shells burst in the air, so that elected placed under the "shield" remained unscathed. Suddenly, the "country of the East" for some unknown reason disappeared under the waters of the ocean, and gradually began to sink Kasskara. At this time, the katchinas helped the elect to move to new land. This marked the end of the third world and the beginning of the fourth. We must clarify that, from the first world, humans were in contact with the katchinas, word that can be translated as "venerable sages." It was visible beings, of human appearance, they were never taken by gods but only as beings of knowledge and potential higher than the human being. They were able to move through the air at enormous speeds, and land anywhere. Since it was corporeal beings, They needed to travel to this displacements a flying machines, a "flying shields" -as in the Roman chronicles, like in the chronicles of Charlemagne who received different names. Today katchinas no longer exist on Earth. The katchinas dances, as well known in America today are represented by men and women as a substitute for existing beings on the old times. The katchinas could sometimes look strange, whereas they originally katchina used to make dolls for children to get used to his appearance. Today, these dolls are preferably made for tourists and collectors. 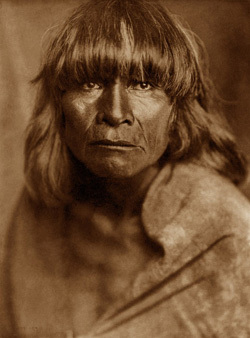 The population, according to the traditional memory of the Hopi came to the new land in three different ways. Selected to tour, inspect and prepare, they were brought there by air, on board katchinas shields. The great rest of the population had to save the enormous distance aboard boats. And it was made this journey along a string of islands in the northeast, extending to the lands of South America today. The new land called Tautoma, which would mean "the touched by lightning." Tautoma was also the name of the first city erected on the banks of a large lake. According to current knowledge, Tautoma it identifies with Tiahuanaco while corresponds to the Titicaca Lake, in the current border between Peru and Bolivia. Subsequently, a cataclysm rocked the city, destroying it, that is the reason the population was scattering across the continent. For a long time these men from the Pacific were dealing in groups and clans on both sub-continents. Some of these clans were in the company of katchinas, who often intervened to help. The Hopi were part of the group of tribes who migrated northward, and legends recall a period when they crossed a warm jungle, and a period in which they encountered an "ice wall" that prevented them from advancing towards the north, and forced them to turn back. After a period of numerous clashes between the cities established in the Yucatan, the inhabitants left the area and resumed their northward migration. During this turbulent time the katchinas left Earth. The few clans that have continued to keep alive the ancient knowledge gathered later in Oreibi, being this the reason for the special significance of this place. After collecting all the information in these traditions on katchinas, we can say the following conclusions about these beings who, without being considered as divinities at any time and this is important, they are at the cosmic level of a direct interference in the Works with humans: they had physical body, had the appearance of men in many aspects behave like men, but they had very superior knowledge than humans. They possessed flying machines, and a mysterious shield rejecting the enemies projectiles at high altitude. They were also able to make children for women without any sexual contact. To this must be added the skills that humans learned of katchinas, the most important of which was perhaps cutting and transport of huge stone blocks and, and related to that, the construction of tunnels and underground facilities. 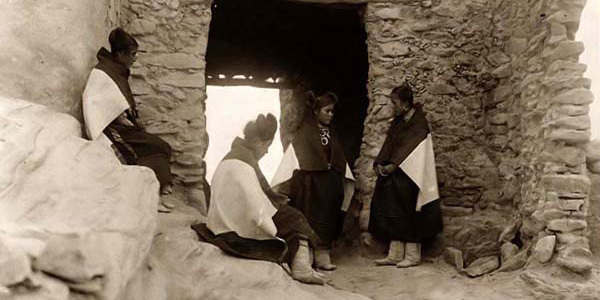 Some of these traditions and findings can corroborate observing the customs of its immediate neighbors, the Zuni and Pueblo Indians, who along with the Hopi are the group of people in the current Arizona. For example, the Zuni, whose temples are underground ceremonial chambers, preserved the cult of the plumed serpent as celestial deity, indicating the Mexican origin of certain elements of their religion to link directly to the image and cult of Quetzalcoatl (identified with Kukulcan and Gucumatz) that it was also feathered and flying serpent, somewhat corroborating the narrations of the Hopi who claim to have established for some time in the area of Yucatan. 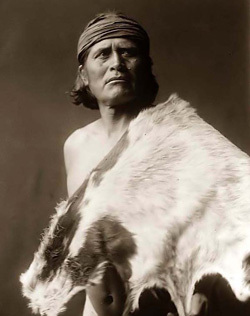 Zuni They also worship the Katchinas for them messengers and intermediaries between the gods of heaven and humans. Thereby practically identified with -messengers of divinity, that in biblical texts operate under the concept of angels. Another curious fact is that this group of Indians practice the art of painting in dry sand or pollen, in front of their altars for religious ceremonies. The origin of this art is unknown, and it is also practiced in Tibet and among some tribes of Australia. 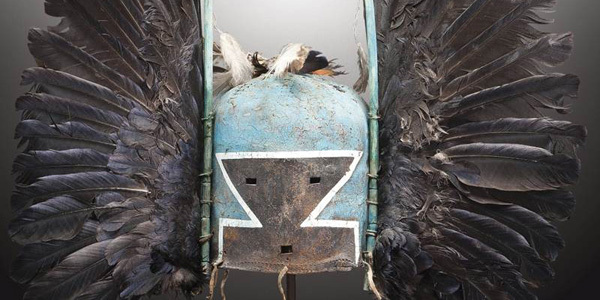 In their reserve of Arizona, the Hopi Indians still maintain the custom of elaborate masks and puppets called katchina or kachina and strictly follow the way of processing and the same "designs" for many centuries. The modern man sees the old wisdom and ancient knowledge like a dead and useless thing and not respected, only depends on the money system with its extreme consumerism. When food becomes scarce and ecological soil conditions are unbearable, the man attempt to correct the error that caused the earth because of their inventions. You will have to find some method to heal the wound, but this will not be possible when we have reached the point of no return. Only peace with the earth and the human being can survive only if the human race we are ready to change this possible. 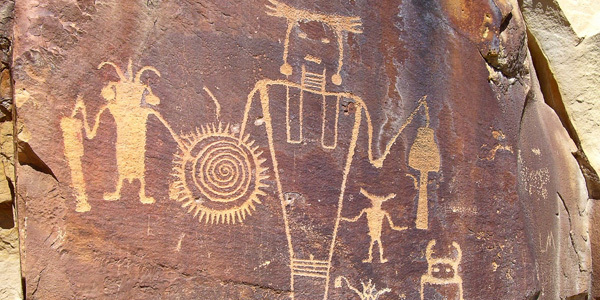 The Hopi play an important role in the survival of human beings in their vital communication with the unseen forces of nature to maintain balance, as an example of practical alternative to suicide system created by modern man. The message is simple if a change towards peace does not occur: "The whole world will shake and turn red and will go against those who interfere Mother Earth". 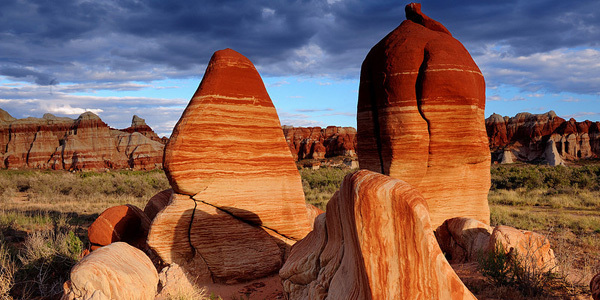 Kawastima, called by the "old people of the North," is now the Navajo National Monument. They are the founders of the three peoples, the ancestors of the present Hopis clans of the Serpent, the Fire and the Sun, known as Anasazi.